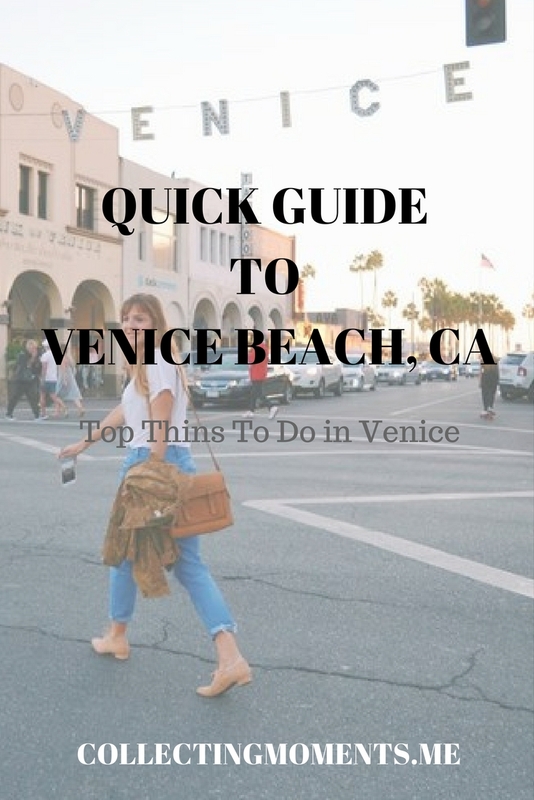 So without further ado, I give you my ultimate guide to Venice in a weekend! My preferred means of transportation is ma bicycle. You can rent some around the boardwalk or now there’s also the city bike shares which are conveniently located around Venice and Santa Monica. Hotel Erwin -- This hip boutique hotel is located right on the Venice Beach boardwalk, has a rad rooftop bar (included below on my list of places to drink!) and has the best view possible of all happenings on Venice. If you want to splurge and wake up right in the midst of everything, stay here. The Rose Hotel -- A block away from the boardwalk (has the benefits of prime location) but less pricey than the Erwin. Gjusta - Best bakery in VB. Enough said. Really, go eat breakfast, lunch or early dinner, but be warned - seating is extremely limited and sometimes is wise to just order to-go; You have been warned! This place is cousin to the famous Gjelina restaurant (also, not to be missed!) but more low-key and overall, more Venice. My recommendations: Carrot cake, croque madame, and any rustic slice of pizza. Cerveteca - I love this tiny Mexican restaurant on Rose Ave. It’s intimate yet casual, delicious food (I’ll have the chilaquiles for breakfast and fried plantains any day, please!!) and also has a great happy hour. Wurstkutche - german sausages + beer + double fried fries + good times! Everyone who visits me in Venice falls in love with this cool gastropub. It’s pretty inexpensive and has a great vibe. Superba - can’t stop, won’t stop! I practically eat here every time I get a chance. Food is fresh, nourishing and plain good. My favorites: Lots of Grains Hot Cakes and Guava&Cheese Croissant. Larry's - Right by the Venice Beach iconic sign, I really like this place. The food is SOOO good, cool relaxed beach vibe and my favorite happy hour in the neighborhood. Their curry mussels are d-e-l-i-c-i-o-u-s and so are the wild mushroom pizza, kale salad and fish tacos. BARS - The Otheroom, The Brig, The Lincoln, The Venice Whaler (For sitting and grabbing a drink), Erwin rooftop bar (for sunset watching accompanied by some cocktails) and James Beach (a little more upbeat, and the one visited in I Love You, Man). All different types of bars, depending on your mood, but overall good places to hang out and grab a couple of drinks. Venice Canals - Don’t miss out on strolling through the man-made Venice canals. The houses are truly beautiful and a cool place to walk right before the sun sets down. Venice Skate Park/Boardwalk - You haven’t really seen anything in Venice until you visit the skate park, watch those skaters rip and then walk along the crazy boardwalk filled with vendors, street performers and an eclectic touch of Venice culture. Although you can stroll down the boardwalk fairly quickly, if you have extra time to spend in the area, don’t hesitate to do so. Sit down by the water and relax with a book. Listen to the musicians jamming out on the boardwalk. Check out the different art there is to see, from DCastro’s surreal paintings to handmade incense and wire-wrapped stones. Rent a bike, a skateboard or roller skates to cruise down to Santa Monica. If you happen to be there on a Wednesday evening, check out the Glow Flow, a group of hula hoopers and flow artists who get together once a week with music and their pretty LED props. Despite being a relatively small area, the Venice Boardwalk is always pulsating with life, energy and creativity. It’s impossible to get tired of. If you have some extra time to spare, Lincoln Blvd has seen a few other cool boutiques pop-up to finish your shopping spree in the area such as Flynn Skye, Late Sunday Afternoon, and Christy Dawn. Hope you guys enjoy my neighborhood!